In these recession hit times we are currently experiencing anything that can potentially save money should not be overlooked. Dieting, either buying diet products or investing in a diet program is often viewed as an expense. The main driver for anyone considering starting a diet is obviously to lose weight – but a second benefit will also manifest itself. While you are busy trying to shed a few pounds you will also, by default (hopefully) be saving a few pounds. Calculate your average weekly or monthly spend on food and alcohol – then calculate again and remove all the treats that you regularly buy and ask yourself a question. Do I really need that packet of chocolate biscuits? It is generally understood that eating three times a day, a the the begining, middle and close to the end of the day is the ideal scenario – but many of us choose to snack inbetween meals. This is not only bad for the waistline but bad for the pocket. If you feel it difficult to cut out or cut down the little tidbits during the day consider using an appetite suppressant. Appetite suppressants can provide the will power that is sometimes lacking in order for us to reduce the amount abd frequency of the foo that we eat. Alli should have been and would have been the best selling non prescription diet pill in the history of the weight loss industry. Alli is the only diet pill that has FDA (Food and Drugs Administration) approval and is also available to buy without GP consultation or the need for a prescription. FDA approval is reserved for drug classed prescription only diet pills and no other commercially available or over the counter (OTC) diet pill has (to date) been awarded this status. Produced by GlaxoSmithKline and from a marketing perspective Alli has just about everything. From a consumer perspective Alli was a disappointment. Alli hit the shelves around 18 months ago in the United States – billed as a the $1 a day anti obesity drug that could promote Rapid Weight Loss, Alli has been plagued with consumer reports and concerns over a side effect that is not so much dangerous but hugely embarrassing. Read the original Alli Review for more detail regarding possible side effects. 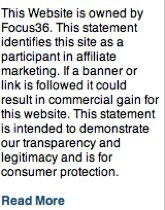 For a UK consumer, purchases up until now would have to be made from US online based websites such as Healthbuy. But now Alli seems to have the seal of approval by Europe’s medicine watchdog and could be on sale in Britain by the spring or summer. Alli is a lower strength version of the prescription only anti obesity drug Orlistat, better name under the brand name of Xenical. It is interesting to note that the clinical trials involving Alli have not appeared to have been scrutinised to deeply – allowing the Xenical association to do its talking. Alli should be available to UK consumer around April 2009 – until then if you want to try Alli for yourself then you will need to purchase outside of the UK. Diet pills, slimming tablets, weight loss supplements call them what you will – they are all in essence a cure for your current excess body weight predicament. Once swallowed this tiny capsule or tablet supposedly weaves its magic and results in the desired effect – weight loss. 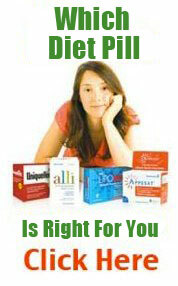 It is absolutely amazing that a high proportion of dieters buy a diet pill without actually understanding what it does. A diet pill is not an aspirin – when we have a headache an aspirin will usually provide relief from the symptoms but do we really care or understand why our headache has relented, the mechanics are of little importance, our headache is gone. Aspirins are of course different from diet pills and although the analogy is a loose one it still describes the trust we put in a product to cure, soothe or treat. Contrary to popular belief there is no magic involved with popping a diet pill – weight loss, if any does not just happen. 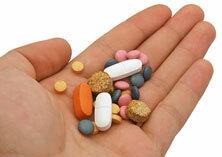 Diet pills in most cases cause a physical reaction – some good, some bad and some downright ugly. Then there are those that don’t cause much reaction at all, we will put those in the ugly category. The latest or greatest diet products that you will have no doubt read about in magazines, seen on television or come across whilst browsing the internet have all got something in common – commercial value and of course profit. Somewhere between you purchasing a diet product and the company responsible for manufacture there is money to be made. There is nothing ultimately wrong with this as this is how the economy works but the health industry, more than any other, is prone to profiting out of misery. If you are considering using a diet pill to help control your weight, read about the Most Effective Diet Pills – this should give you an insight into what they do, how they work and whether you could qualify for prescription only diet pills.